When you take a college degree, you are investing in yourself for a better future. However, this dream can just as easily go spiraling down if you do not manage your student loans carefully. If the statistics are any indication, most students fail to keep up with their student loans from the third year itself. 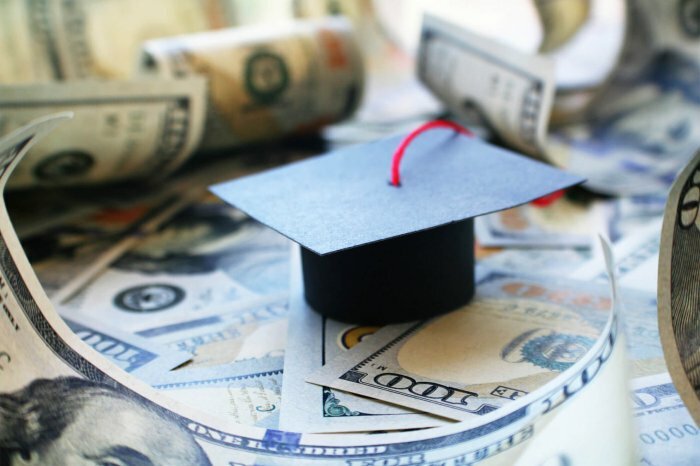 This article will share expert tips consolidated from financial advisors who offer valuable advice to students on how to keep their student loan debt in control. This tip is applicable in any other sphere of your life as well. Before you apply for a student loan, you must know exactly what you need and how much you are capable of paying back. It is strictly advisable to not take out the maximum that is available to you. Speak to your family members and see if they can chip into your college fees so that you can reduce the amount if you must borrow. This will make your monthly payments more manageable and something you will honor in the long run. The rule of thumb for borrowing is to never exceed the amount you earn in a year. If you expect to get the average salary of over $30,000 a year, then you should borrow no more than $30,000. Before you take out student loans, you should discuss all the options that are available to you. It is better to eliminate the need to borrow money. You can consider taking a full-time job along with your course to pay for your tuition or look into scholarships. You can also attend community college for some time until you can gather enough funds to pay for private education. Look into other options that can help you cut corners and save up for your college such as on-campus/off-campus housing, part-time jobs etc. Before you take out student loans, check out federal loans before going for private loans. You can also talk to your parents if they can loan you the money for your college education. Don’t forget to take interest rates into account when you plan a repayment strategy. In a bid to pay off your student loan quickly, don’t forget to save up for emergency or retirement fund. Many people miscalculate their monthly obligations that can eat into their savings bucket. Knowing the interest rate and what is owed by the end of your loan tenure can help you plan your money more tightly. Check out this page –https://www.credible.com/– to know more about student loans. Don’t get sucked into the trap of profit-mongering schools that charge your exorbitant tuition fee in exchange for unrealistic promises with regards to employment. Look into all the options, based on your budget. Don’t write off community colleges and state universities in favor of private colleges. This is especially important if you are unsure about your field of study. What is the point of paying for expensive college if you will get a low paying job at the end of it? This is why you must thoroughly assess the job prospects before committing yourself to a costly school. You can also get the same level of education at a state university or a community college for much less. For instance, why pay $100,000 for a private college if you want to do public service? Choose your college in alignment with your professional goals. The students should not overlook affordable colleges in their home state. Each state has a public university structure where a part of the education is funded by the taxes that residents pay to the state. This is the reason the tuition fee in these colleges is much less for a local student than the one who comes from outside. Student loan debts can be overwhelming but defaulting on them can seriously damage your future creditworthiness. Loan defaults look very poorly on your credit reports that can impact your ability to get apartments, utilities, a cell phone connection, approval for credit cards/loans etc. Student loan defaults also qualify for wage garnishment that can be an embarrassing situation for you at your workplace. Students who are struggling to pay their home loans can also consider forbearance or forgiveness options after discussing it with their loan servicer. The idea is to stay regular on your loan payment or rope your lender in if you are facing trouble in continuing payments. Building Automation System: A Technology That Will Change The Dimension of Building Structures Around The Globe! Digital Marketing Plays A Major Role In E-commerce…Do It Aptly!